First a novel, now it’s an animated film. 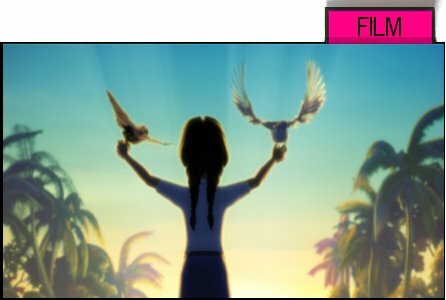 Sing to the Dawn tells of Dawan, a girl living in a small Southeast Asian village. She fights for her right to basic education to see more of the world beyong her small town and escape the boundaries of the traditional village. 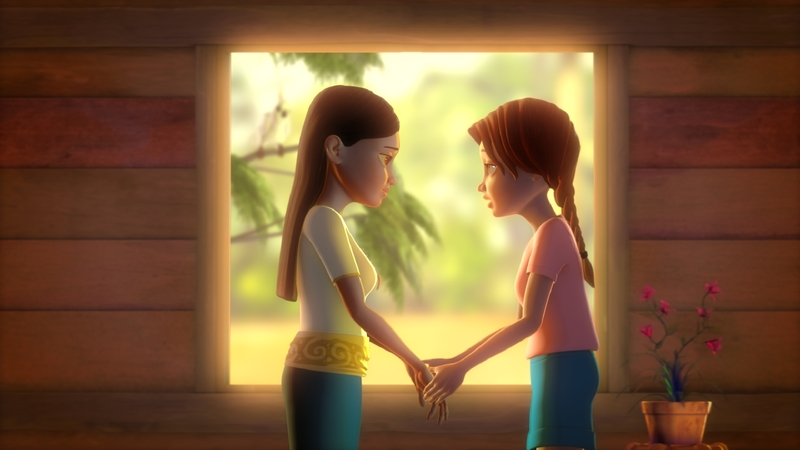 Sing to the Dawn, Singapore’s first English animated feature film opened on October 30. The film is a co-production between Infinite Frameworks, the Media Development Authority of Singapore and MediaCorp Raintree Pictures. It is based the award-winning novel of the same name by Ho Minfong. However, she told CNA at the preview that the movie and the book should not be compared. ArtZine attended the Gala Premiere of Sing to Dawn. To be absolutely fair, we’ll review the movie in 2 parts. One for those who have read the novel and another for those who haven’t. We hope you have kids. If not, WHAT are you doing in the theatre? Bond beckons instead. 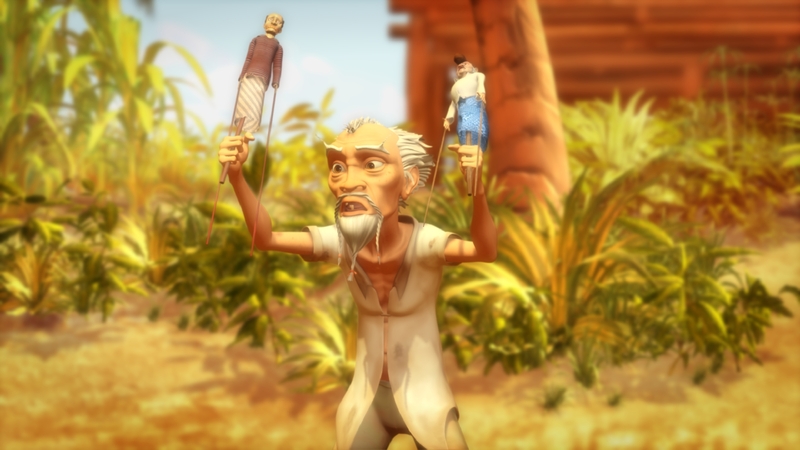 For a production that took 4 years of editing to complete, we feel that the animation feels ‘short-cut’ and unfinished. It is a short animated feature film as compared to Hollywood’s or Disney’s animated films – 80mins vs 100mins. In fact, the opening scene is almost in slow-mo. (The voiceovers are slowed, but not slow enough to match the animation unfortunately.) 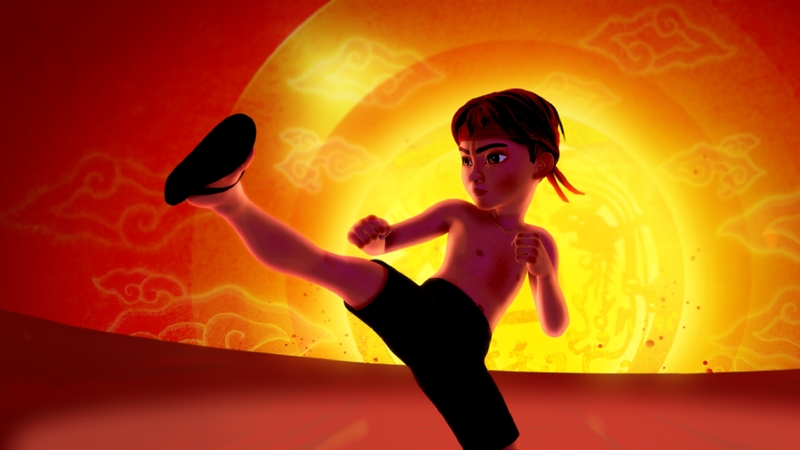 As it is not an indie film, we expected better from the animated feature that had the support of the MDA. The film is very Asian – a proud trademark. From shadow puppets to the bridge (that is based on a real bridge in Indonesia) and Kai’s (Dawan’s brother) obsession with Kung-Fu. Kudos to the Art Director for the beautiful countryside sceneries. Wonderful job! Listen to Dreams, sung by Celine Rosa Tan. Kids will love the animals: the singing monkeys, cockatoo and mynah. No wonder the Sing to the Dawn preview before the Gala was held at the Jurong Bird Park. 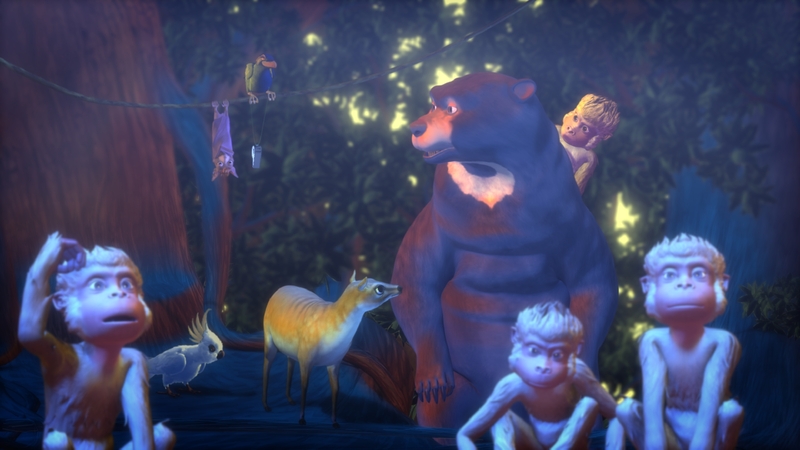 The animals have been added into the story for comedic relief and as a parallel to the villagers. The villagers’ worries are also the worries of the animals. Can they work together to find a solution? That’s what you’ll get out of the movie. Since Minfong Ho’s novel won awards in 1975, the present age of her loyal readers would be 23-year-olds onwards. If you belong to this category, sorry to disappoint you, folks. This adaptation will have you squirming in your seats. While most films based on adaptations get complaints from fans about scenes that were removed, you’ll find a strange phenomenon happening for Sing to the Dawn. There are MANY scenes that were removed, important themes that were touched but not developed on and characters who are unlike themselves in the book. – Wichien performances for kids now. – Dawan surprisingly gets along well with her father in the film. – Kai is obsessed with KungFu and wants to be KungFu moviestar one day. – Dawan’s father is an inventor, not farmer. – Dawan’s mother is dead, no reason given. 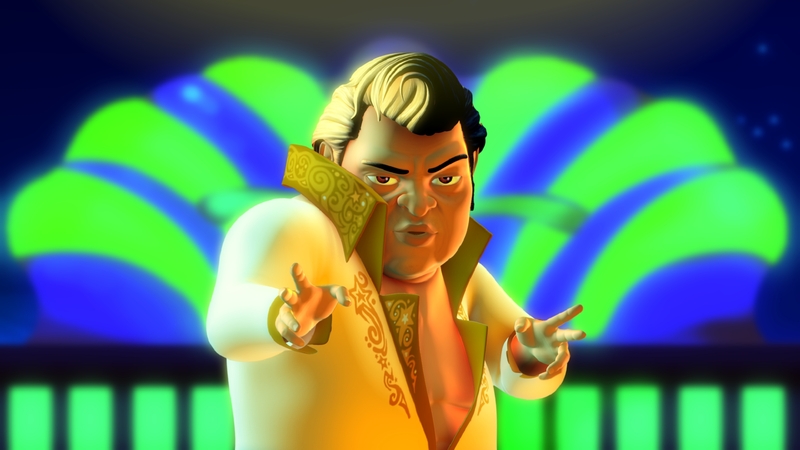 – Pairote is dressed like Elvis, talks like Elvis, sings like Elvis too. – Dawan goes on an adventure to find a lost decree that says the villagers own the land, not Pairote. – There are talking animals now! – Added subplot to save the village from Pairote’s evil plans. “What if someone else wins the scholarship?” asks Dawan. We’re glad that they finally mentioned the scholarship’s importance when the film cut off to another scene without answering her question. it Lacks emphasis on the importance of the scholarship to Dawan, Kai and Somchai. Those who haven’t read the book will think the story is about saving the village from the evil Pairote. Why name it Sing to the Dawn if the only main references to the book are the character names, Dawan’s fighting spirit and the iconic bridge? Was it just for publicity since it would be associated with Minfong Ho’s acclaimed novel? The film ended with Dawan singing on the bridge and Lek (the boy she likes) turns up behind her and they hold hands. Sounds like a Disney ending, don’t you think? The silence that followed after that was rather queer. The silent audience remained seated, not knowing if the film had ended or not. Once the lights came back on at the end of the film, we peered at our notes to see what we had last written. Precisely our reaction after the film. This entry was posted in TV / Film and tagged artzine singapore, Celine Rosa Tan. Lim Kay Siu, Denise Tan, eunice olsen, Gala Premiere of Sing to Dawn, Ho Minfong, Infinite Frameworks, Jason Chan, MediaCorp Raintree Pictures, Neo Swee Lin, Phil Mitchell, Sing to the Dawn by artzine. Bookmark the permalink.